While running a marathon, your ordinary running belt might not cut it. You will need to find something that has enough room to accommodate everything you’ll need to bring with you. 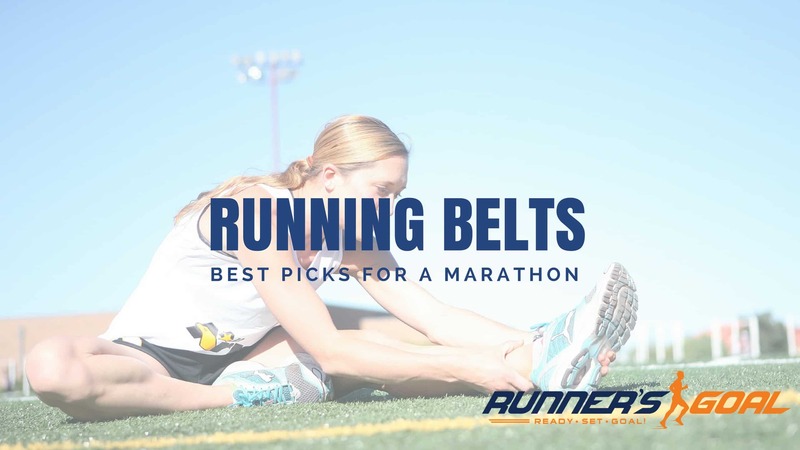 To learn more about selecting the best running belt for marathon purposes, read our guide and check out our top picks. How Much Space Do You Need in a Marathon Belt? When picking out a belt for your next marathon, the main objective is to plan for everything you’ll need to bring with you. Let’s take a look at some of the essential items you’ll want to carry. Energy gels: Since the average marathon time is approximately 4 hours and 21 minutes, keep in mind you’ll need a fair amount of space just for your energy gels. You’ll want to take one every 45 minutes or so; depending on your time, you may need to have four to eight packets with you. Chapstick: Your mouth isn’t the only thing that gets dry while you’re running, because your lips do too. Just because the rest of you is uncomfortable doesn’t mean your mouth has to be. Many runners like to have chapstick with them to protect their lips from dryness and the sun. Sunblock: The sun can be a runner’s worst enemy. We often get too much of it and end up worried about increasing our skin cancer risk. You’ll want to put some sunblock on before your marathon begins. Unfortunately, that won’t be enough to cover you all the way through the race. You’ll need to reapply it more than once during your race. Toilet paper or tissue: Finding a little room in your belt for some tissues or toilet paper can give you tremendous peace of mind during your marathon. Running long distances can really upset your stomach and lead to diarrhea during your run. And while marathon courses have portable toilets, they might not be staged as often as you need them and I’ve been in more than one that is out of toilet paper. Identification: It’s a good idea to slide an identification card into your running belt, just in case anything goes south during your run. You should also have a list of emergency numbers. Those numbers will often be collected during your pre-race paperwork, but it can speed things along to have them on you as well if something goes wrong. Some inspirational tunes: Whether you listen to music on your phone or an iPod, having your favorite music playing can elevate your performance and make you tough things out when you feel like quitting. You’ll definitely want to leave some room in your belt for your music. Keys: Unless you have someone dependable waiting for you at the finish line, it’s a good idea to bring your keys with you during your race. You don’t want to risk having someone else lose them, so you should have a designated pocket for them in your running belt, preferably a separate pocket so you don’t risk them falling out when you’re grabbing your other stuff mid-race. 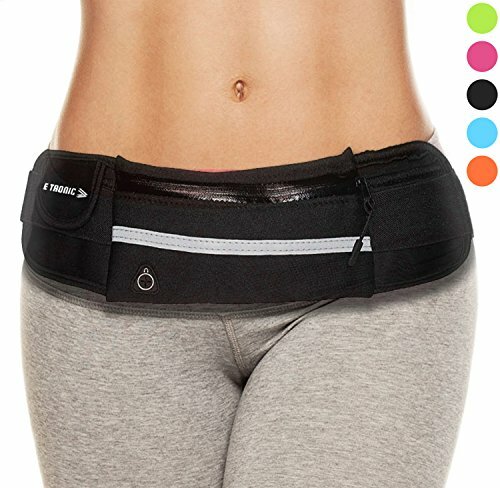 What Other Things Should I Look for in a Running Belt? Extra visibility: There’s a reason runners dress like attention-grabbing superheroes––we want to be seen. Not for the sake of our egos, however; it’s all about safety. If motorists see us in plenty of time, they’ll be less likely to hit us. 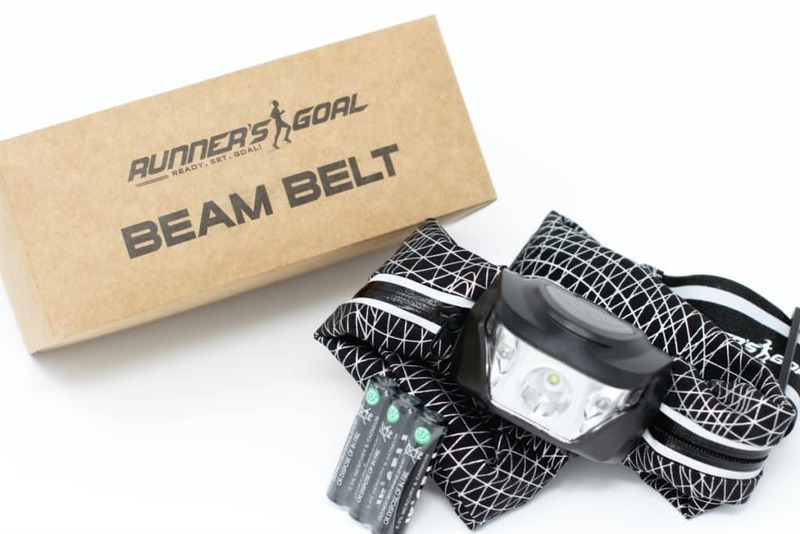 So any running belt should help us in our quest to be seen by using reflectivity, lights, or bright colors. Comfort: Smaller running belts seem to be more comfortable. They don’t bounce up and down as much, and they’re less noticeable. But smaller belts may not be able to carry enough to get you through a marathon. When you’re choosing from bigger belts, you need to focus on how they feel because you’ll be wearing them for hours at a stretch. Whether or not it comes with a water bottle: If you can find a regular running belt that doubles as a hydration belt, you’ll be more prepared for long distances like marathons. Although all marathon courses have water, you can’t always plan out your energy gels with your water stops. When you hit the wall, you need energy as soon as you can get it. Bringing water with you can get you through the tough spots. How easily accessible your items are: When you’re carrying a lot of stuff with you, it can be aggravating to try to access the one item you need at a particular moment. If you’re just trying to fish out an energy gel packet, you don’t want to first have to dig out and hold your keys, chapstick, and sunblock just to get to it. To help you stay organized on a long run, it’s best to have multiple compartments in your running belt. If you’re worried about running out of water when you most need it during your marathon or marathon training, you’ll want to find a belt that lets you cover your hydration bases. This belt comes with two 10-ounce water bottles that don’t contain BPA. One bottle goes on each side of the belt so they are easily accessible without feeling too bulky or inconvenient. 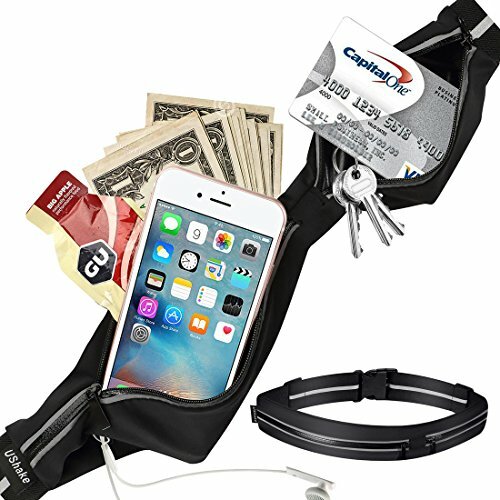 This belt can fit larger phones in the center compartment. This will fit a wide range of girth sizes––it can work for 25 inches to 47 inches. An earbud cord hole gives runners the option of listening to their favorite songs without any hassle. The storage pocket has a zipper at the top so all your items won’t start spilling out the moment it is unzipped. The belt is affordable, especially considering that you get two water bottles with it. You only get two color choices and neither is bright or eye-catching if you’re looking for additional visibility. This belt may feel too big for petite runners. You won’t get any water bottles with this belt, but what you will get is a smaller belt that has some serious stretching ability that allows you to carry a good amount of gear without feeling like you’re being swallowed up by a giant belt. This belt is highly affordable. The material is so light that it will be able to dry quickly after a sweaty workout. Any sweat will be wicked away quickly by this belt so you’ll stay drier and more comfortable. It fits many sizes, from 25 to 40 inches. It has two pockets -- a big one for your phone and other large items and a small one to keep your keys safely tucked away. It has a small amount of reflective material on the front. Despite holding a lot of items, it still manages to look sleek and less like a fanny pack than some other belts do. You don’t get much of a color choice. If you’re the type of runner who likes to run with their wallets on race day, this belt won’t work because a wallet won’t fit. This belt doesn’t come with a water bottle, but it does allow you to carry a bottle with you. It has a holster for a small water bottle. 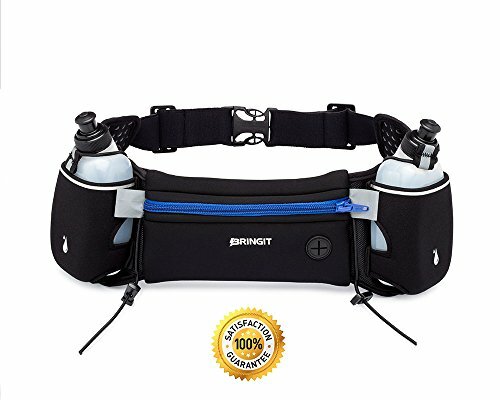 If you want a hydration belt just for your longer runs and a regular running belt for your other training runs, this would satisfy both your needs. Larger runners will like that this belt because it fits up to a 44-inch waist, but you can also request a free extension strap that will make the belt even bigger if you need it. It’s made out of water-resistant neoprene, which is a good option for those training runs in which you get caught in the rain. You’ll get a few different colors to choose from and some are bright enough to add to your visibility. This belt is affordable and should work for every running budget. A reflective stripe is on the front; the belt also comes with two reflective bands you can put on your wrists or ankles. It has an earbud hole. If you have a large phone, you’re out of luck––this belt only fits phones up to 6 inches. It’s hard to put the water bottle back in the holster when you’re still running. At 6 inches, this belt is a lot taller and deeper than most other running belts, but the sleek, flat design makes it look stylish despite that. Because of its depth, it can hold a lot. There are plenty of compartments––a smartphone pocket, two zippered pockets, and a pocket that has a buckle for your keys. It is made of spandex, which won’t irritate your skin. When you order the right size, the belt is form fitting so it will stay put without any pesky bouncing. When this belt starts getting dirty, you can throw it in the washing machine. If you like to wear your belt under your clothes, this one will be a little more invisible than some others are. You’ll need to know your measurements to order this belt -- the varying sizes cover from 28 to 43 inches. Because the pocket opening is fairly small, it can take a little time to get a big phone in and out. If you struggle with exercise-induced asthma during your runs, you might like that this belt comes with a little pouch that is easily accessible and a good size for your inhaler. Most phones can fit in this belt. The pouch is water resistant so it will work well for any electronics you carry with you on your run. There’s an inner pocket to keep your identification or money safe. This belt comes with reflective strips that will help you stay safe in low-light situations. It also has toggles to keep your race bib in place so you don’t have to put safety pins through your clothes. To make sure you can reach your energy gels quickly when you need them, this belt has five elastic loops that will keep them in place. While this belt does come with color options, all of them are black -- the only difference is a colored zipper area. It is pricier than many other belts. 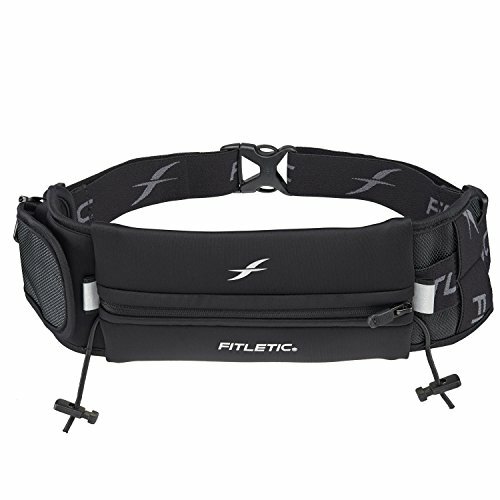 The best running belt for marathon races is the E Tronic Edge running belt. It gives you the option to carry a water bottle with you and the free extension strap that you can request makes it a good belt for larger runners too. It offers some rain and sweat protection and comes in brighter colors for those of us who want to be extra visible to motorists. One of my favorite things about this belt is that it also comes with two reflective bands for your wrists or ankles. Anything that keeps runners safe on the roadway is a winner with us.